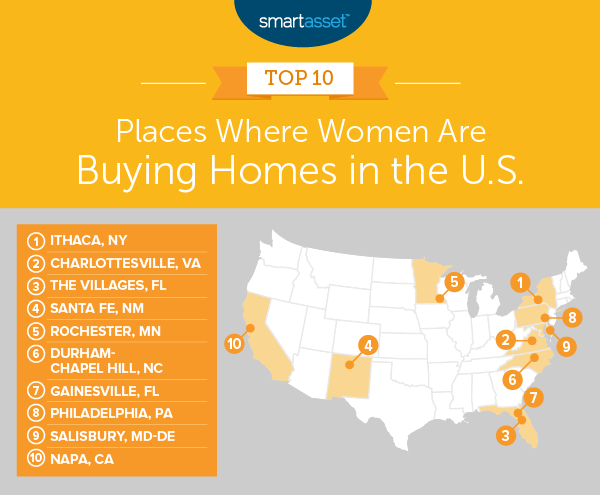 Women buy fewer homes on average than men – Only in one metro area (Ithaca, New York) did women without cosigners buy more homes than men without cosigners. In some cities, on the other hand, men without cosigners bought homes three times as much as women without cosigners. Women take on more risk when they buy homes – Relative to income, women without cosigners are likely to take on more risk than men without cosigners when buying a home. In 348 of the 402 metros we analyzed, women had a larger loan-to-income ratio than men. 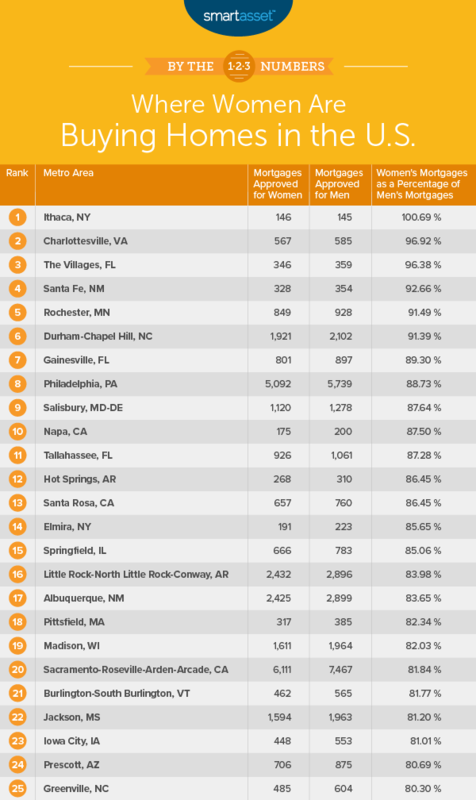 In only four cities did women who were approved for a mortgage without a cosigner have a higher average income than a male in the same situation. Be prepared – You will need to prepare for being a homeowner long before you decide to become one. Depending on where you live, not only will you need to have a down payment, but you will also need to pay upfront closing costs. Those can range from 4% to 10% of the cost of the home. Extras can hurt – Unlike renting when you usually have just your rent and maybe your utilities to worry about, owning a home comes with a few more surprises. For one, along with your mortgage, you will be responsible for property taxes, which can be hefty. Another concern might be home repairs. If you recently purchased an older structure, you will want to budget it in any necessary upgrades or changes you need to make to your new home. Ask an expert – Odds are you will never buy something as expensive as a home. So when making your home purchase, why not take your time and talk to an expert? A financial advisor can help you budget for retirement, your children’s college fund and the home of your dreams. If you are not sure where to find the right financial advisor, check out SmartAsset’s financial advisor matching tool.